Free from what? Free from the necessity of mortal incarnation with all of the attendant pains and opportunities to just plain mess up, acquire karma, and suffer. The Apostle Paul summed it up. Posted in Jesus Christ | Tagged Apostle Paul, Bible, Born Again | Leave a Comment on Are You Free? Heaven and hell, are they real? 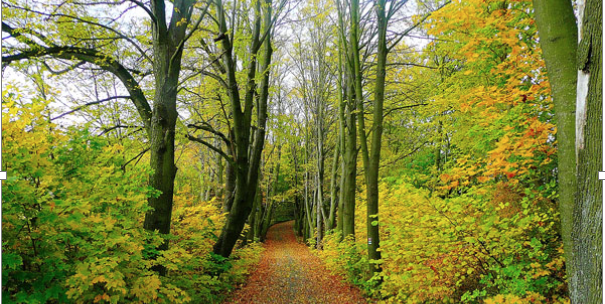 Can a modern person pursuing a spiritual path believe in some concept of hell? In the KJV translation of the New Testament I see 9 references to “hell” in Matthew, 3 in Mark, 3 in Luke, and none in John. In Acts it shows up twice. In James once. In 2 Peter once. Finally 4 times in Revelation. If I counted correctly that is 23 times. When I was a child in a fairly fundamentalist church there was no problem with believing in hell. However I can hardly remember hearing the word “hell” in Unity, except perhaps once in a blue moon in reference to delusional beliefs. These two polar opposites both claim to believe in Jesus. The fundamentalists are very literal in trying to understand those words and in Unity we find Jesus becoming a “wayshower” and he is quoted often, his name is invoked often, but I don’t think any of those words supposedly uttered by Jesus mentioning “hell” are given any credence in Unity, or similar spiritual movements. Different authors have a preference for one of these original Greek words but I think the bottom line is that which original Greek word was used, it meant a place where souls would be punished for their sins. Now fundamentalists generally emphasize the idea that such punishment was intended to be eternal punishment, a punishment that would last I guess for the rest of time. Looking at the Greek word from which “eternal” usually comes in translation that doesn’t seem entirely justified. What do I take from this? Very simply I don’t see the New Testament ever talking about time-lasting eternal punishment. Nor does it explicitly talk of an “end of the world” as is believed in most of Christianity. The disciples are asking Jesus how to recognize when he will return at the end of the age, presumably some long period of time in human reckoning. The event described above was visible to the followers of Jesus, but they were not very many at that time. Perhaps a couple hundred or so. For most of the world at the time this event was unseen. So if the above prediction is correct when the Christ returns it won’t be the massive event predicted in the “Left Behind” series. Instead the Christ may return again in human guise and only be recognized by a relative few. Getting back to the subject of “hell,” I am in my sixth decade now. If you are much younger you may not be familiar with “The Twilight Zone” television show back in the late 1950s and 1960s. It was a show including a fair amount of science fiction that tried to come up with stories with a surprise twist at the end. I remember one episode where it starts out with a gangster getting killed in a gunfight. He wakes up and is greeted by a man who is his guide to the world he finds himself in after death. It seems unbelievably pleasant. He can pretty much have anything he wants. He particularly likes to gamble so he goes to a beautiful casino and he can’t lose. Not even once. There are beautiful women everywhere and absolutely every one of them will go to bed with him at the slightest suggestion. He never gets turned down. The finest food and booze are at his disposal just for the asking. Now the idea is clear. Boredom can be hell too. But that is not the point I am trying to make. We all assume we are living on “Earth” and we only go to hell after we die? 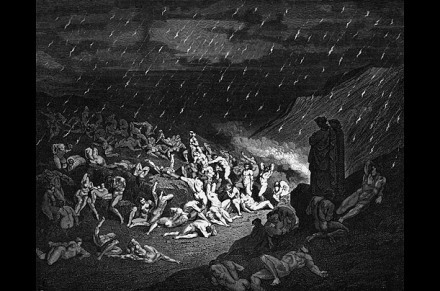 My question to you is this: “Who told you that this isn’t hell?,” the place where people go for punishment (and more importantly correction)? A “hell” that only serves for punishment is really a kind of a waste, isn’t it? In real life we don’t (or shouldn’t) punish our children because we enjoy doing it. We punish them (at least good parents do) in order to hopefully change their behavior. Right? In the original Greek to “sin” really means “to miss the mark.” A loving parent punishes with the aim of improving a child’s aim. Maybe when Jesus was talking about hell he wasn’t kidding. He really meant it and he knew what he was talking about (and what he was talking about had little to do with the dogmatic Christianity that evolved in the centuries after he left for a while so that humanity could take a couple millennia to digest what he taught that first time). Perhaps if we understand that hell is real, but not an eternal punishment, but rather as a road to correction and redemption then we can see the message of Jesus with a better balance. Maybe people on the path of enlightened spiritual progression can come to understand that all the words of Jesus have potential meaning, not just the ones that speak of love, the words that we see as being “warm and fuzzy,” so to speak. Maybe we have to be born again, and again until we learn how to turn hell into heaven? Someone once said that God has no hands on earth but our own. Don’t wait for God to magically do the job. Realize you have to get your own hands dirty and do some of the work yourself. That is, unless you really like coming back to hell again and again. Heaven is within our reach. But we have to build it with our own hands. Maybe that is the real meaning of hell, and the promise of heaven. Was Jesus a pacifist as some claim? A person who is opposed to war or violence of any kind. Since I am not a traditional or fundamentalist Christian I do not feel constrained to believe that the Bible is the literal, and inerrant word of God. Just thought I would get that out of the way so no one is confused about where I might be coming from. If we take the quote above from Matthew literally, “do not resist an evil person,” then the case seems to pretty solid that Jesus was a pacifist who opposed the use of violence in any shape or form. If he did mean that, and if he can be shown to have used physical violence, then the case could also be made that Jesus was a hypocrite. You may remember that Jesus criticized the Pharisees for being hypocrites. 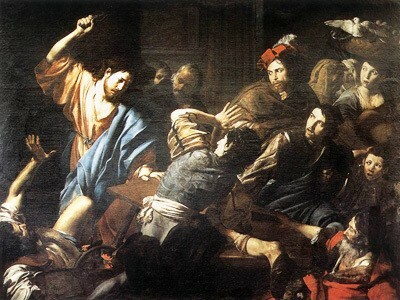 Jesus goes into the Temple and is greatly angered by what he sees going on. But he does not attack them immediately. He goes out somewhere and gets some cords and makes a whip. That probably took him a little while to do. Then he goes back and creates this famous scene. That shows that although he experienced anger he kept it under control. He didn’t attack them without coming up with a plan and then applying carefully calculated violence to dramatize his outrage at them for polluting a holy place. Just as surely as the quote from Matthew 5:38 seems to establish Jesus as a pacifist, the quote from John 2 shows he was quite willing to use calculated and controlled violence if necessary. So was Jesus a hypocrite then, saying one thing and doing another? I don’t think so. I said earlier that I don’t believe the Bible was inerrant. I am pretty sure that people added to it, and modified some things to suit their understanding. You have heard that it was said, ‘Eye for eye, and tooth for tooth.’ 39 But I tell you, do not resist an evil person. If anyone slaps you on the right cheek, turn to them the other cheek also. See the “do not resist an evil person” in a gray color above? Do you suppose that was commentary added by a later copyist? I can’t prove that to you but the context invites that conclusion. Why? Read Matthew 5:38-39 aloud to yourself leaving out the “do not resist an evil person.” Does it sound as good? Does the narrative still flow as if it didn’t need it? Here is what could have happened. You have an early, early copy without the “do not resist an evil person” in the main text. But someone writes in the margin, as an explanation of the Master’s words, “Do not resist an evil person.” Just so that the reader understands the context as this person who wrote the commentary believes he understands it. The following sentence really doesn’t need it: “ If anyone slaps you on the right cheek, turn to them the other cheek also.” It doesn’t need it because it is not a simple command to be non-violent. A lot more is going on here. In that day and age a master who was right handed might strike a slave with a back handed slap to the right cheek. He would not do the same to a person of his own rank. He would strike him on the left cheek with an open hand (if not a fist). What Jesus appears to be saying here is, “If someone slaps you like you are worthless or a slave, then turn the other cheek and invite then to slap you as an equal.” Jesus is instructing the person to appeal to the empathy and humanity of the person who strikes you, not giving an absolute black and white command to be non-violent. Indeed this seems to be the context for the rest of the quote. If a person sues you then give them even more than they ask. If a Roman soldier forces you to carry his pack (a Roman law that Jesus is referring to here) a mile take it another mile. Maybe this will appeal to the soldier as seeing you as another human being, not just a beast of burden. In the above case Jesus does not seem to be following his own advice of turning the other cheek, but instead questions why he is being hit. That seems a lot more rational approach than following an uncompromising commandment without understanding as many pacifists appear to advocate. Skipping to modern times we have a law in Texas that concerns something called “fighting words.” If, for example, you are in a bar and say some really rude things to someone, and he strikes you, then you cannot legitimately claim simple and innocent self defense. You were a party to the fight by the very words you used. Your words incited violence. If in self defense you do serious bodily injury to that person a claim to self defense will not save you. I think telling these Pharisees that the devil was their father was pretty much fighting words, just as if in modern parlance I would make rude references to someone’s mother. No doubt about it, he intended to drive them mad! He used verbal violence to accomplish that. So no, I don’t think Jesus was a pacifist at all. I think he saw the great value of pacifism and appealing to the humanity of others in appropriate circumstances, but I don’t think he laid pacifism out as an unwavering rule of good human conduct. His own life as recorded in the scriptures does not bear out that he was a pacifist. Posted in Jesus Christ | Tagged Bible, Pacifism | Leave a Comment on Was Jesus a Pacifist?